Guerrero Gallery is please to present new works by AJ Fosik, Ben Venom, and Erin Riley. With a focus on traditional craft, a seemingly almost extinct skill in today's highly digitized world, this exhibition aims to bring light and exposure to the hands-on work of each of these very distinct artists. Evident in the bold and contemporary works by Fosik, Venom and Riley, is each artist's personal style and approach. With an invested personal connection to the pieces they create, they confront and challenge different themes by embedding chosen themes through their craft. 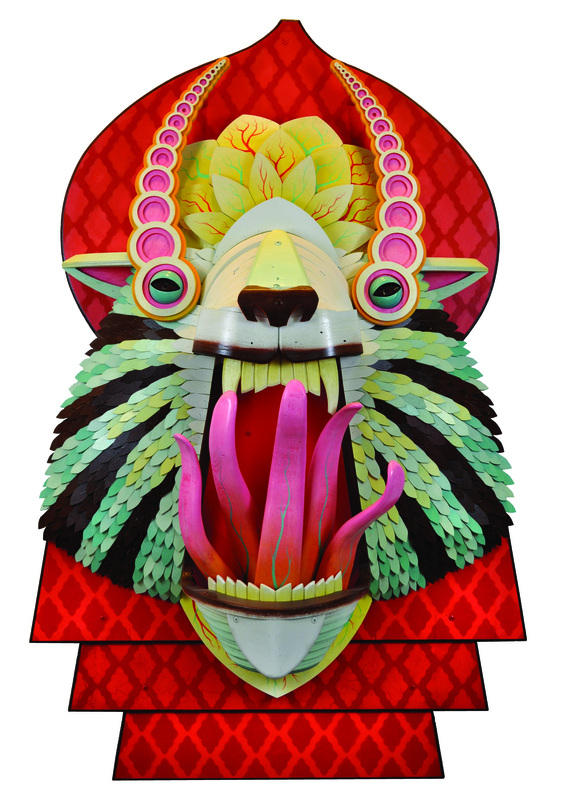 AJ Fosik's creation of figural, intricately designed three-dimensional animals and anthropomorphized beings involves hundreds of individually cut and vanished pieces of wood. His work, evocative of American Folk Art, draws inspiration from subversive cultural inluences that shift complacency. By incorporating appealing familiar symbols and aspects, his pieces provoke a suspension of comfort. AJ Fosik is originally from Detroit and received a BFA from Parsons School of Design in New York. Ben Venom's pillows, quilts and embroidery simultaneously mock and pay tribute to the encounter between two seemingly opposing forces. 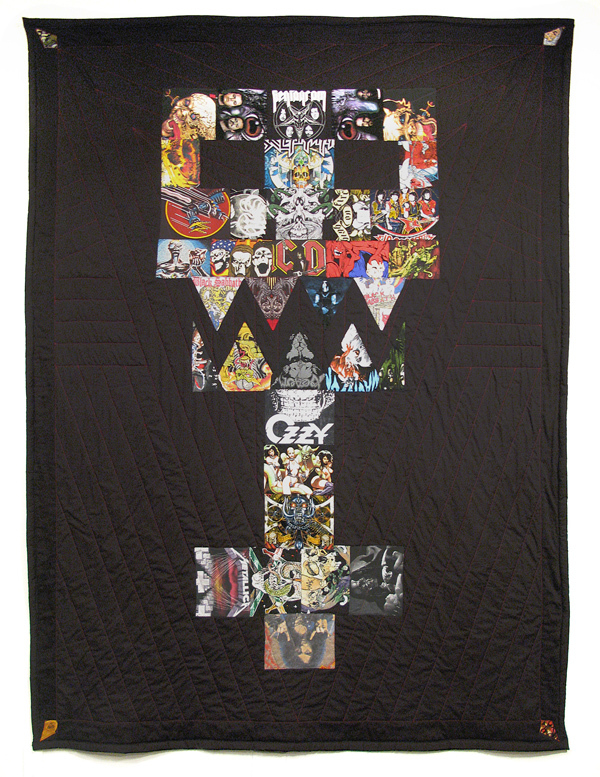 His interest in bringing together traditional handmade craft and the extremes of Heavy Metal culture is not an attempt to organize chaos into conservatism, but to provide a reinterpretation through a different medium. Ben Venom received an MFA from the San Francisco Art Institute and currently lives in San Francisco. 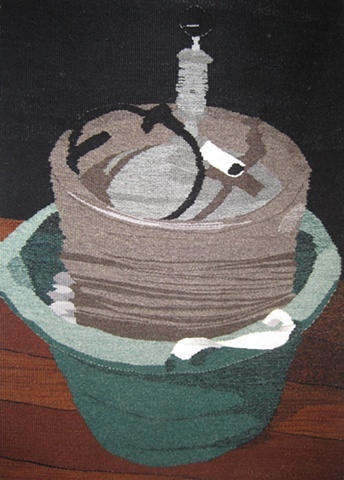 Erin Riley's tapestries, woven from a Macomber floor loom with hand dyed wool yarn, are a series of pieces inspired by the images produced by the internet generation. The series is a product of her research into the symptoms and results of various themes, including addiction and single-parent households. Drawn to images of self-discovery, experimentation, regression, development, her works depict a generation of excess and confusion. Erin Riley received an MFA from the Tyler School of Art in Philadelphia, where she currently lives.